Heat reflux extraction concentrator serves for vegetable and herbal medicine, China traditional drug, animal drug, food additional to extract with water, ethanol, methanol and acetone and to reclaim and concentrate the organic solvent. 1) The equipment is compact conformed and integrated with extraction, volatile oil recovery, concentration, ointment receiving, and solvent recovery. 2) Synchronous Extraction and concentration shorten the technical process and production period, increasing the operation rate of the equipment. 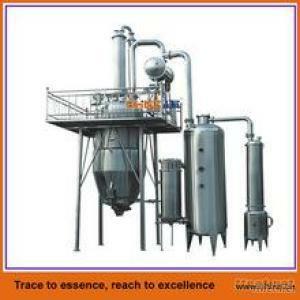 Machinery, Pharmaceutical Machinery, Pharmaceutical Machinery/n.e.s.